Comparative Plant Virology provides a complete overview of our current knowledge of plant viruses, including background information on plant viruses and up-to-date aspects of virus biology and control. It deals mainly with concepts rather than detail. The focus will be on plant viruses but due to the changing environment of how virology is taught, comparisons will be drawn with viruses of other kingdomes, animals, fungi and bacteria. 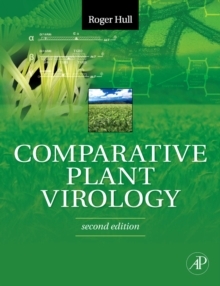 It has been written for students of plant virology, plant pathology, virology and microbiology who have no previous knowledge of plant viruses or of virology in general.